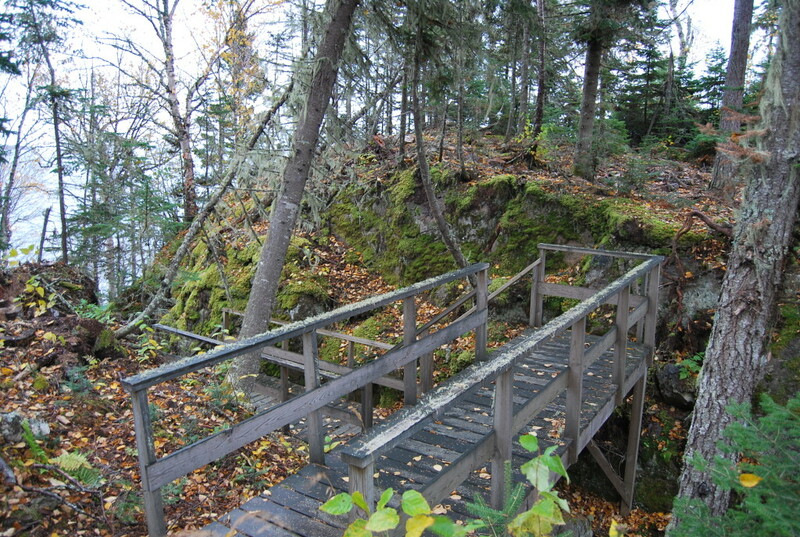 Only a few miles shy of the Canadian Border, in the easternmost point of Minnesota on the Arrowhead is a small community called Grand Portage, and it’s loaded with Native American history and natural beauty. Among the many points of interest here is the famed Witch Tree, or “Little Spirit Cedar Tree,” which is for the most part off-limits, unless you are granted access by the local Ojibwa Indians, which we did. Grand Portage has a very extensive history of Indians, French Voyageurs and fur traders, and sightseers who make the journey to see the rugged beauty of the Sawtooth Mountains, the High Falls of the Pigeon River, and the Grand Portage National Monument. There is a Casino and Hotel here which offers the only restaurant and hotel in the area, and a marina if you want to go boating. 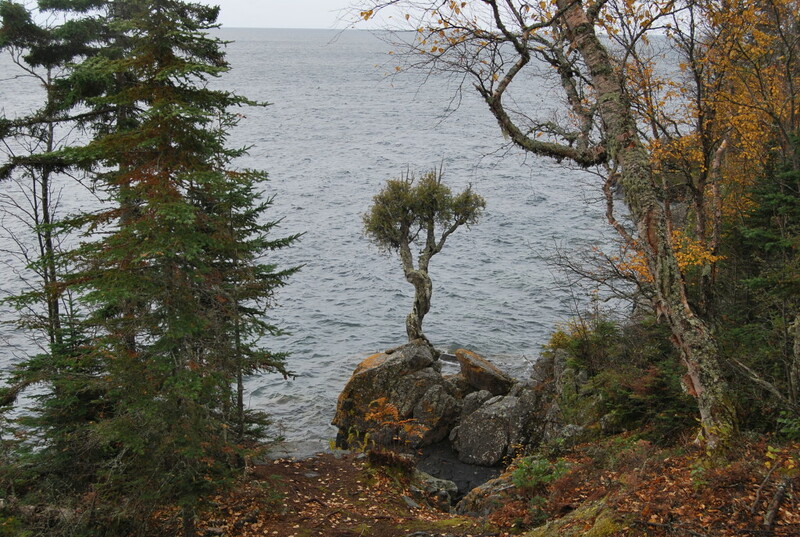 But it seems few visitors know of this ancient white cedar tree, gnarled and lone, seemingly growing right out of a rock on the shoreline of Lake Superior. And for good reason- the tree itself is held sacred among the local Indians, on whose land it’s located. After speaking with the local Tribal Council, we were able to secure a guide who brought us to the trailhead which begins a short hike from the parking area. 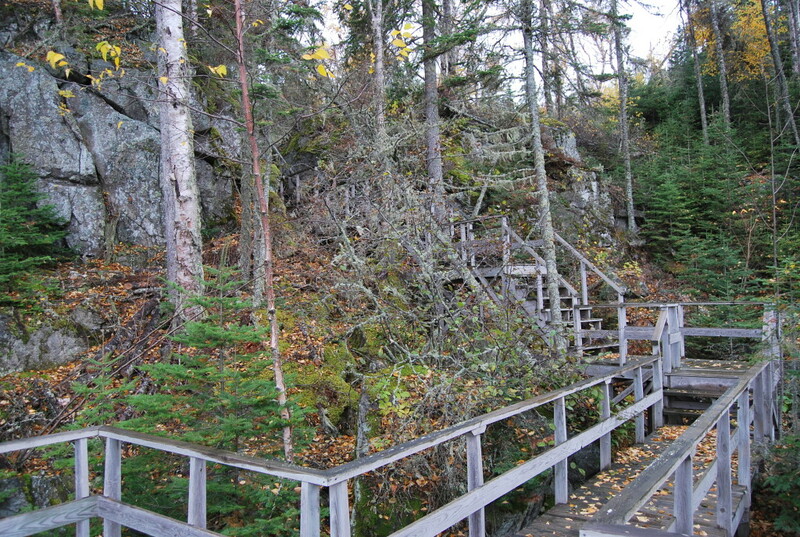 The trail winds through a fern-and-moss covered rock gully down to a boardwalk, ending at a viewing platform where the Witch Tree is visible. 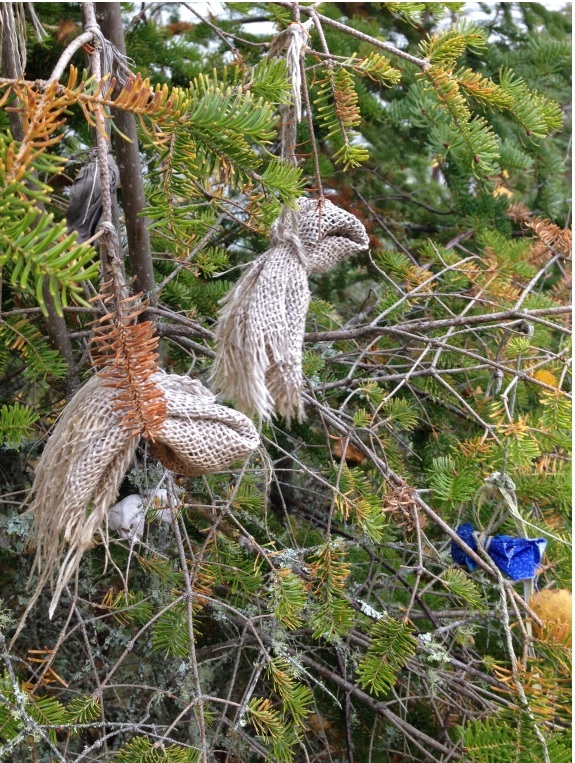 Tied to a tree nearby are many “offerings” to the tree, usually fresh tobacco or otherwise, in a tradition that visitors show out of respect and reverence. 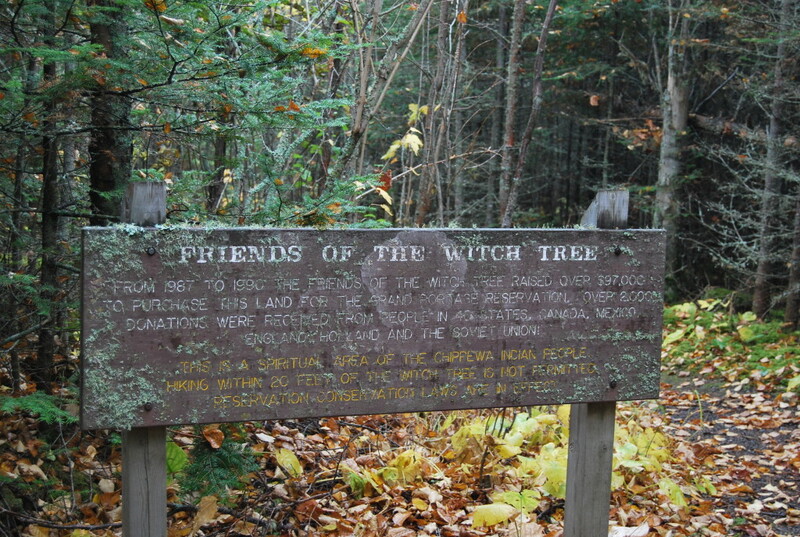 The Witch Tree is not only symbolic to the Ojibwe but it’s also a historic anomaly, dating back to 1731, when a French explorer named Sieur de la Verendrye commented in his writings on the tree being a mature tree at that time, which in turn makes it at least 300 years old. 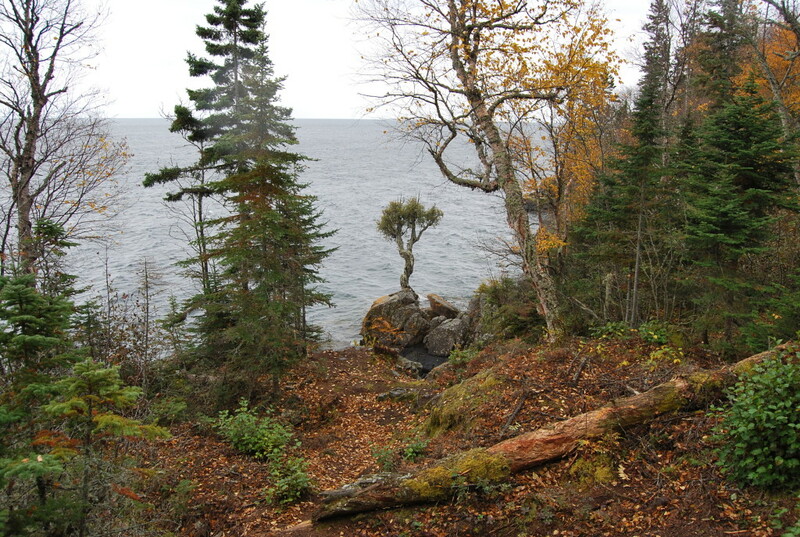 It has withstood millennia of harsh and severe weather conditions, ice sheets and pounding waves, Lake Superior gale winds, and frigid winters. Little Spirit Cedar Tree has been essentially off-limits for years, due to vandalism and its sacred symbolism, but the Council seems more than happy to assist in arranging a guide to the tree. Many believe in its mystical powers, and our guide told us that it’s often a place to unload emotional or mental burdens. The fact that this little iconic tree has been around for over 3 centuries and surely many more years only adds to the curiosity and mystique of its enduring legend. While in the area: There are many iconic sites along Minnesota’s North Shore, but if you’ve made it this far, it’s worth a stop at the High Falls of the Pigeon River, the highest waterfall in Minnesota. Ryden’s Border Store is a fun stop for souvenirs and sundries, and the Grand Portage National Monument shares the area’s rich history.